William A. Smith, 68, of Tilton, passed away on Monday, February 4, 2019 at his home. He was born on April 4, 1950 in Danville, IL, the son of William C. & Eleanor (Collins) Smith. William was united in marriage to Rita Ligocki on October 9, 1987, she survives. He will be dearly missed by his wife, Rita; brother in law, Gene Barnes; nephew, John (AdriAnn) Barnes, niece, Kellie (John) Anderson; great nieces, Kasie Anderson & SonShyne Barnes; great nephew, Nicklas Anderson. William was preceded in death by his parents and sister, Evelyn Barnes. William was proud to serve his country in the United State Marine Corp, he received a Purple Heart for being wounded in Vietnam. 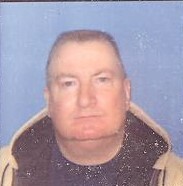 William worked for Bumper Works, Flexel and Freight Car Services, retiring in 2004 from Freight Car Services. He was a very active member of the United Church of Tilton & was a trustee for the Village of Tilton. William loved all types of cars, watches & an animal lover.